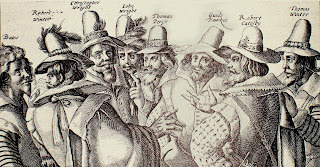 Guy Fawkes, born in York in 1570, is one of the key figures in British history, taking a central role in a plot that would have destroyed the ruling class and changed the nation forever. Today protesters wear his mask, families burn his effigy, and he is an instantly recognizable name and face. 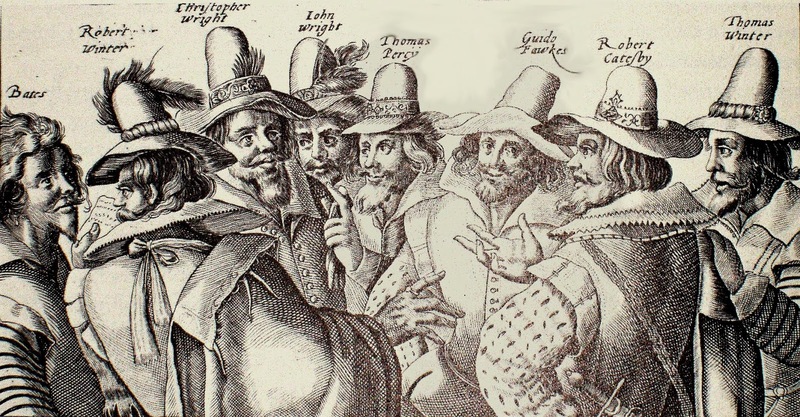 But just who was the real Guy Fawkes? In this new book, we take an exciting look at the flesh and blood person behind the myth. 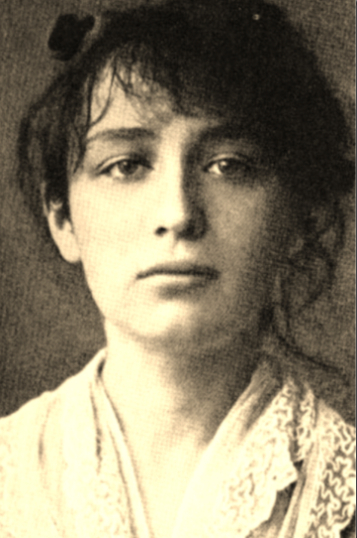 We find out what radicalized the man who was born a Protestant, and yet planned mass murder for the Catholic cause. The book takes a fresh look at Guy's early life in York and beyond, and examines how that led to him becoming a Catholic mercenary and a key member of the 1605 Gunpowder treason. This fresh new biography of Guy's life removes the layers of complexity that can cloud the British history of this time: an era when fearful Catholics hid in tiny priest holes, government spies were everywhere, and even your closest friends could send you to be hung, drawn and quartered. Guy and his conspirators were prepared to risk everything and endanger everyone, but were they fanatics, freedom fighters, or fools? This explosive read, accompanied with beautiful illustrations, is accessible and engaging, combining contemporary accounts with modern analysis to reveal new motivations behind Guy's actions. I am back with a brand new review. I hope everyone is having a good start to their new year. I am proud to say that I will be posting my book reviews and research articles on varied subjects from time-to-time. 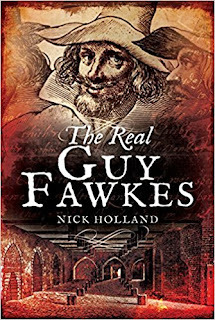 Now, I realize that, "The Real Guy Fawkes" by Nick Holland is not nineteenth-century or Victorian era related. However, it is a newer release and a book that I thoroughly enjoyed. Firstly, I must thank Casemate Publishers, based in Pennsylvania, for sending me a beautiful hardcover review copy to read. I don't think anyone will be surprised when I say that I know practically next to nothing about the man they called Guy Fawkes except he is celebrated one day out of the year in the United Kingdom and he was involved in the gunpowder plot. Other than that, I'm lost until I read this book. Author, Nick Holland through extensive research has managed to flesh out from the ashes a real life perspective on the man behind much of the myth. Guy Fawkes rises like a phoenix and develops fully formed within these 240 pages. Beginning in York, England, through sixteenth century religious politics between Catholics and Protestants readers are introduced to a very important man named, Martin Luther and a married couple, the parents of Guy Fawkes. A brilliantly religious scene is realistically set to bring forth the socio-economic times within how and where Guy Fawkes grew up to be the man who tried to bring down the House of Lords. Of course, there is so much more to this story. One of Nick Holland's strength's as a writer, is his ability to highlight religious struggles within certain era's. This makes for dramatic, page turning reading. I always look forward to those chapters because I know I will learn new things about the geographic place and the said population group within a city, state, or country. Another very enjoyable aspect to Nick Holland's writing is the way he quotes verses of poetry or stanzas in chapter headings to present the theme or understanding layers of the past. For instance, you will find the words of Edmund Spenser, Thomas Middleton, and others. 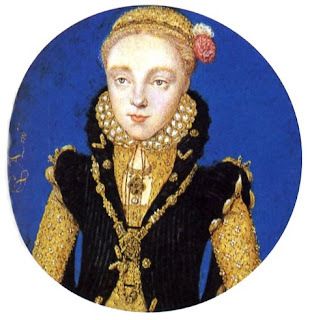 I enjoyed reading about the marriage of Guy Fawkes a subject that was not much talked about or even known during his brief lifetime. It is much to the author's credit in the personal and human way he wrote about the love they shared. Especially when there was rarely much research to be found. 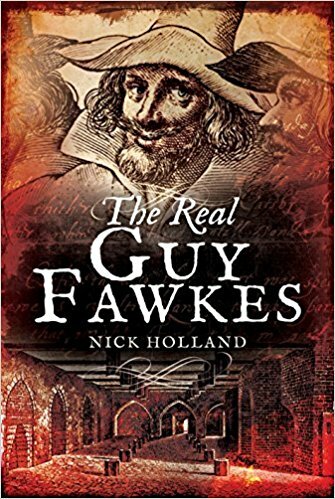 Nick Holland has done a fantastic job researching Guy Fawkes and all aspects of his brief life. A Yorkshire Man himself, Nick Holland traveled to the surviving places where Guy Fawkes stayed and lived. He did this as a way of walking in the man's footsteps and what better way to gain a real personal perspective to his subject. He also scoured every museum archive that housed any remnant to do with Guy Fawkes. I was at the time and still am proud of the painstaking research the author went to in order to write, The Real Guy Fawkes. Well, he's been found here within these pages. I truly hope every reader enjoys the book as much as I have. This is a part of history I have come back to at least three times, but I have not read the Holland book. Yet. Thank you for linking and commenting.